We Grow for the World. cREATE UNFORETTABLE MEMORIES WITH YOUR FAMILY AND fRIENDS, SPENDING QUALITY TIME, ENJOY ALL THE GAMES AND THE ACTIVITIES, THE ATTRACTIONS AND THE FRESH AIR! Meet Ingrid and Ken Dieleman, the farmers who create and invite you to the annual Thamesville Maize. Ingrid and Ken always liked to have fun. In 1999 when reading a youth article, they were first introduced to mazing. The immediate thought was "that looks like fun!" 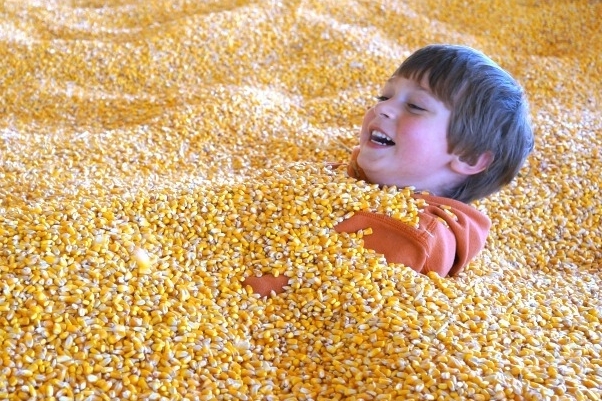 After plenty of research, the Thamesville Maize was opened in 2001. Opening with only a 10 acre corn maze, a corn box and the Corn Awareness Centre, today we have grown into a tourist's destination! Activities and amenities include an enormous and challenging corn maze, a you-pick-pumpkin-patch with a wagon ride, a Jumbo Jumper, farm animals, mini mazes, a picnic area, play area and much more. Plans are always being made to include more.